The Keg upped the ante and proves with their enticing Lobster Summer Menu why they're at the top of their game! I'VE somehow gone all these years without ever experiencing one of the most craved and sought after dishes out there...fresh lobster! Crazy, I know, but I've always been more of a cheeseburger kinda guy, harbouring a weak stomach for anything too far out of my comfort zone. That is until now! 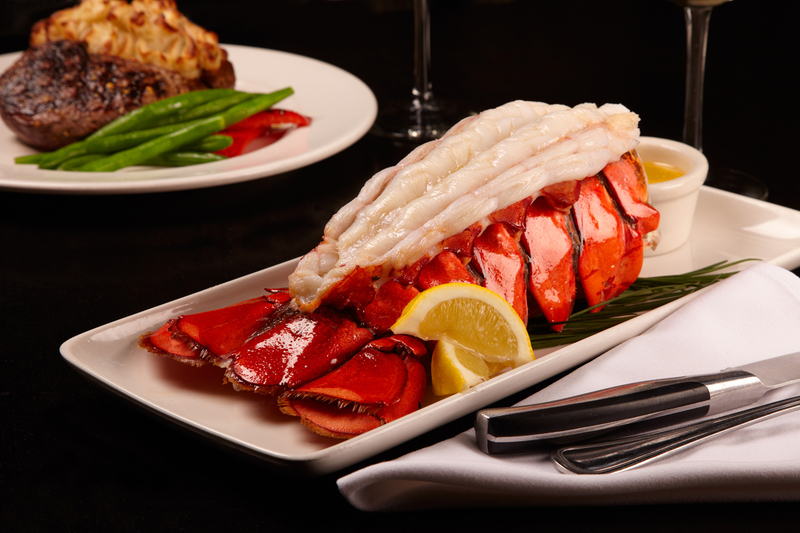 The Keg Steakhouse & Bar is now serving their Lobster Summer Menu! Myself and some of my fellow bloggers were invited to The Keg's annual Lobster Summer Menu Tasting, essentially a feast fit for a king (or queen)! A five-course meal with an open bar is beyond extravagant for a guy who is usually down with whatever's on the BBQ, and now look what you've gone and done...you've spoiled me! My sister and I arrived at the South Edmonton Common branch of The Keg (1631-102 Street/ 780.485.6530) at around 5.30 this past Thursday, and started off with a margarita and the Szechwan Lobster: golden fried lobster and shrimp bites tossed with chili peppers, red peppers, asparagus and a sweet & spicy sauce, and paired with a B.C. Chardonnay! The new Szechwan Lobster is the perfect way to get things started! Almost as soon as we devoured our starter, the impeccable servers brought out the Lobster Roll, The Keg's take on an East Coast classic. 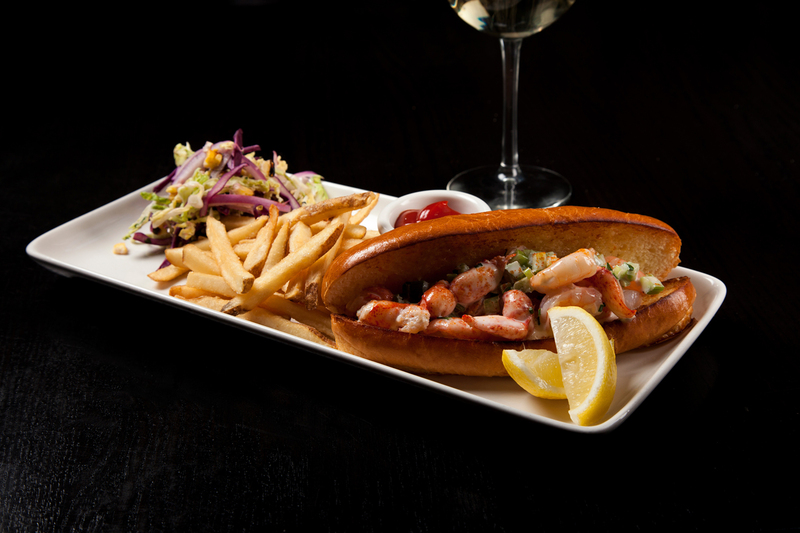 They doused lobster and shrimp with a salivating dressing, cradled within a butter-brushed brioche roll, and served alongside their traditional fries and cabbage slaw, and finally topped off with a Pinot Noir from Chile's Casablanca Valley. The Lobster Roll is also new, bring this East Coast tradition out west! By this time I had come to realize that this decadence was something I could easily get used to, as my sister and I shared stories about world travels and fond localities with some pretty enlightened and like-minded company, including food blogger Robyn and Edmonton media staple Graham Hicks. Next, they brought us Crispy Lobster Tacos, which were golden fried lobster pieces spread on warm tortillas, and buddied with crispy rice, cabbage slaw and cilantro. I wanted more, but I knew that the main course was just minutes away, and so I amassed all my will power and sipped on the Veramonte in the meantime. 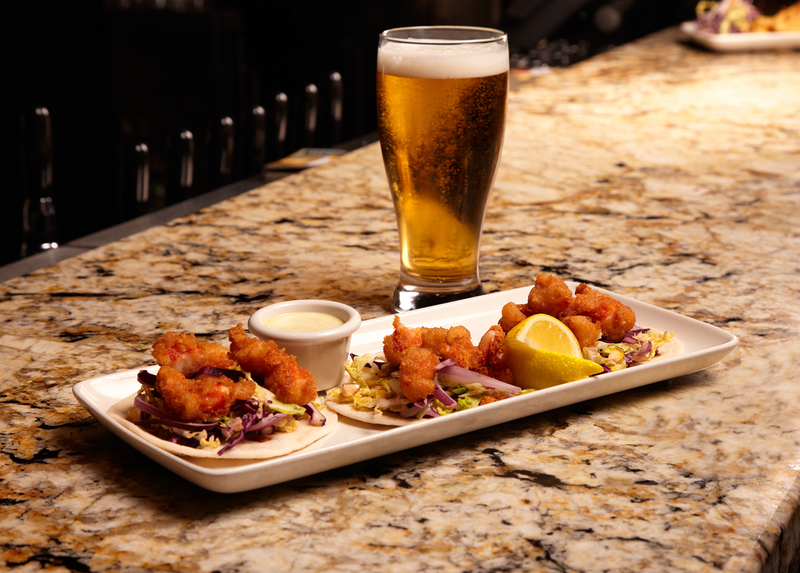 Beer, wine, anything pairs perfectly with the Crispy Lobster Tacos! 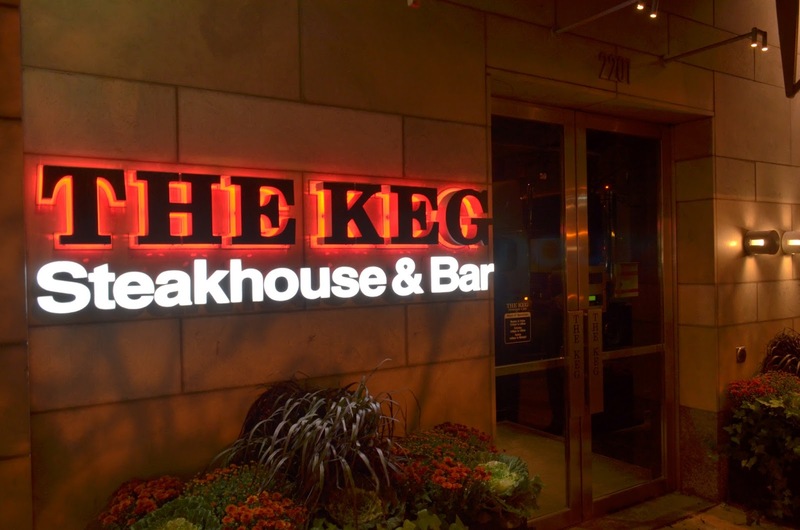 The Keg, which happens to be a Canadian company that is about to celebrate its 45th anniversary next year, is perhaps best-known for their prime cuts of steak, arguably the best in the whole country! 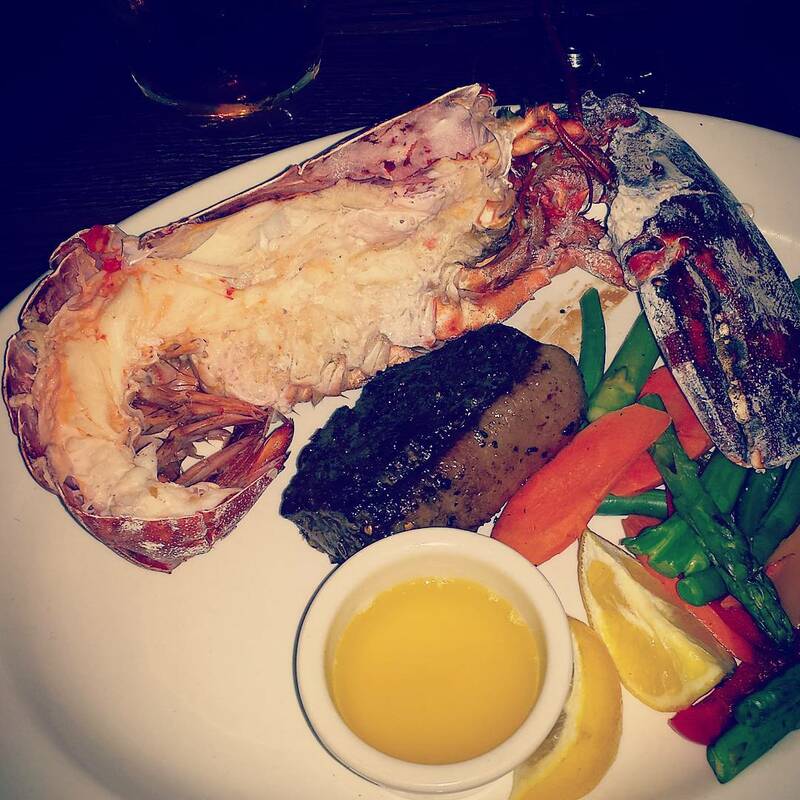 My medium rare tender sirloin came almost as a side to the succulent hard-shell Half Lobster, billowing from my warm plate. In case you're not hungry yet, here comes the first entree! Almost simultaneously they placed a plate of 1-pound full-meat Lobster Tail - which was scooped from the North Atlantic some 24 hours prior - at our table for my sister and I to share, and paired it with hot butter, lemon and a California Chardonnay. It doesn't get much better than this! Early off I came to the realization that there was no way I was going to be able to clear my copious portions, let alone make room for dessert, but I must say I came close! We got the rest wrapped up to go, and then settled in for some communal dessert...it was the only way we'd be able to even tackle a sixth effort. The Half Lobster is flown in as fresh as possible from the Atlantic coast! What an evening, to say the least! The food, the drinks, the service, the company we kept, and even the crowning atmosphere of The Keg, it was what all fine establishments should achieve to be. Whether you're trying to impress your date or looking for a place to mingle with friends, make sure you keep The Keg in mind! You can't possibly regret it! The 15th annual Lobster Summer promotion runs at all The Keg locations across Canada until August 30.